The Buffalo nickel — the design of the United States’ 5-cent coin from 1913 to 1938 — remains one of the most popular and well-loved coins. This, despite the fact that it has been nearly a century since Buffalo nickels first appeared in the pockets and purses of Americans. Here’s everything you want to know about Buffalo nickels and what they’re worth today. James E. Fraser designed the Buffalo nickel based from real-life models. The American Bison (which people commonly refer to as a buffalo) is believed to have been Fraser’s take on “Black Diamond,” an American Bison which was featured at the New York Zoological Gardens. The Native American bust is the beautiful, artistic result when Fraser combined the features of three American Indian chiefs: Iron Tail, Two Moons, and John Big Tree. Can Buffalo Nickels Still Be Found In Change? The answer is yes, but this is an extremely difficult undertaking which often yields the searcher nothing but a bunch of Jefferson nickels (though Jefferson nickels are also exciting to collect). Buffalo nickels have long been a favorite design among Americans, for these coins reflect a rich and often romantic part of our nation’s past. 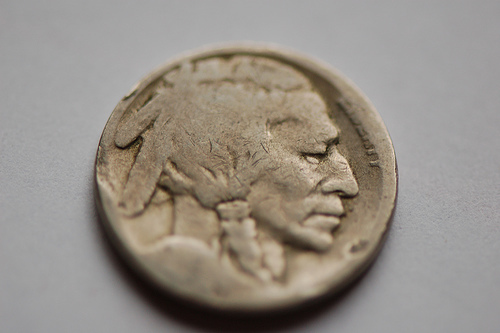 Since the last Buffalo nickel was produced in 1938, these coins have been disappearing into collections, hoards, jars, and drawers. Very few remain in circulation today, and those which do turn up are often in badly worn condition. In fact, due to the location of the coin’s date — positioned on a very “high” part of the coin — it is not at all out of the realm of possibility to find well-worn Buffalo nickels bearing no date whatsoever! These Buffalo nickels are generally worth no more than 10 to 25 cents but, if found in circulation, they still make quite a trophy nonetheless. While the bulk of the Buffalo nickel series contains date and mint mark combinations which are highly common, there are a few particular dates which have become quite scarce over the years. Most of the “really expensive” Buffalo nickels are either errors or “overdates” — an issue which occurs when mint engravers inscribe a digit of a date over another digit in a date. 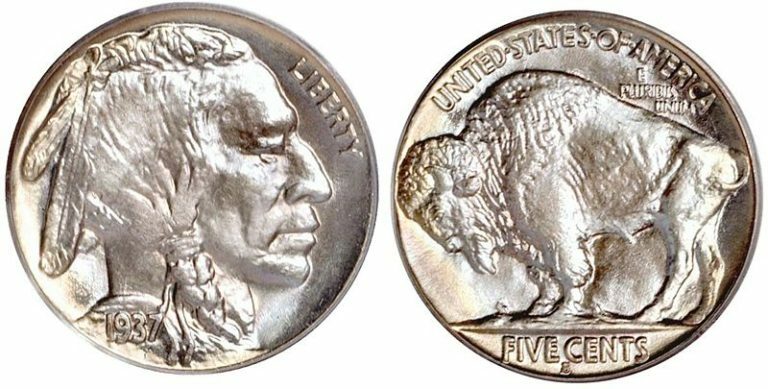 Type I Buffalo nickels include the words “five cents” superimposed on the mound upon which the Bison stands on the reverse of the coin. Type I nickels were struck only during the first year of production: 1913. Type II Buffalo nickels display “Five Cents” in a recessed area below the mound on the reverse. Type II nickels were produced from 1913 right up through to the end of the series. Mint marks, which designate the U.S. Mint that struck a coin, can be found on the Buffalo nickel just under the words “five cents” on the bottom of the reverse side of the coin. The 1913-D Type II can bring in $125 in Good condition. The 1913-S Type II is even pricier, at $350 in Good condition. The 1914/3 (where the digit 4 is superimposed over the 3) is valued at $390 in Good condition, and the 1914-D issue can command $90. The 1916 Doubled-Die Obverse can bring in at least $3,500 in Good condition. Doubled-die coins occur when the “die,” which imprints a coin’s design, strikes a coin twice thus imparting a “doubled” image on a coin. The degree of doubling can range from barely perceptible to highly evident. The 1918/7-D overdate is worth $1,300 and up in Good or better condition. The 1921-S which is worth about $70 and up in Good or better grades. The 1935 Doubled-Die Reverse is worth around $40 and up in grades of Good or higher. What are these errors worth? At least $500 and $575, respectively, in Good condition. Prices increase if the coins are in higher grades (less wear). To find more Buffalo nickel prices, check out the Professional Coin Grading Service price chart. What About The Values Of Other Buffalo Nickels? The short answer is that most Buffalo nickels not listed above are worth between $1.50 and $10 in the lower, circulated grades, depending on date and mint mark. You should consider checking out the latest edition of A Guide Book of United States Coins by R.S. Yeoman and Ken Bressett for more insight on values, grading, and other information, including mintages. 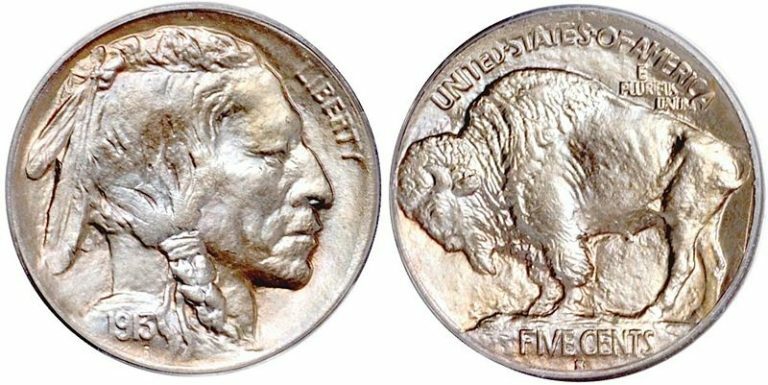 To find out more about Buffalo nickels on the web, check out this very informative website dedicated to the Buffalo nickel, or this more concise article on the Buffalo nickel.